Prizes will be awarded for both the Judge's Scores and the Popular Vote! Buy votes for your favorites and you will help determine who will be the Winnipesaukee Playhouse's Broadway Idol! Nancy Barry, Producing Artistic Director at Interlakes Summer Theatre. 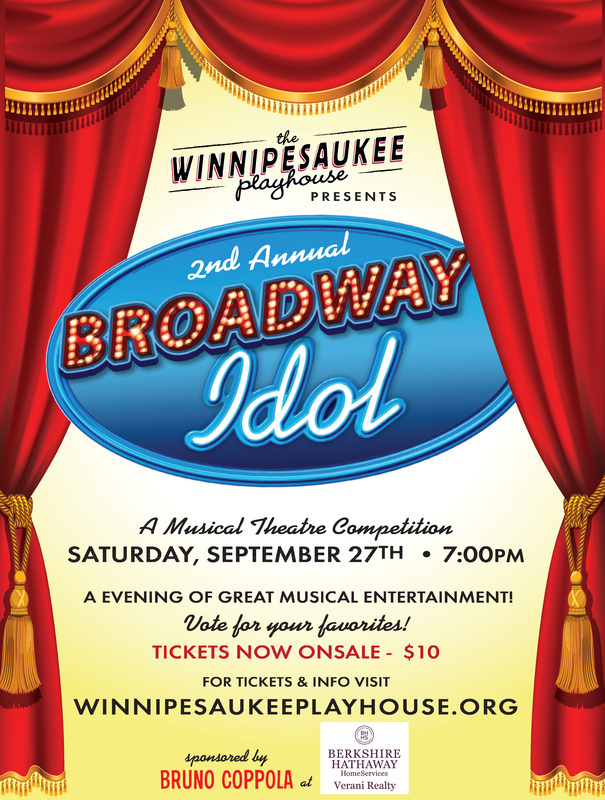 Broadway Idol is a fundraiser for The Winnipesaukee Playhouse's theatre and arts education programs.